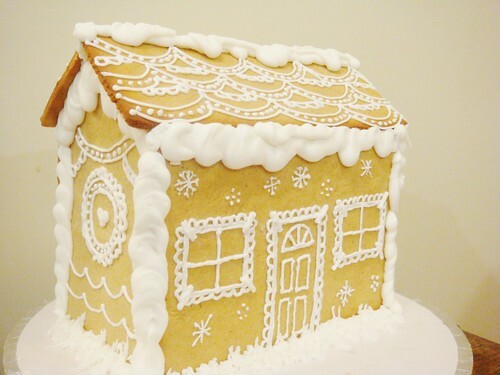 This year I almost didn't make a gingerbread house. I had just finished making a mock up wedding cake (will explain next month) so was pretty exhausted, plus I had to make Whoopie Pies (which didn't work so I had to make cupcakes instead) and a stacked meringue dessert for Christmas day! I made the gingerbread from a recipe I Googled (that wasn't very good) and realised after it was all baked that I didn't have enough Royal Icing! I knew I wouldn't have enough time to make more icing so I decided to just ice two sides of the gingerbread house, sneaky sneaky! 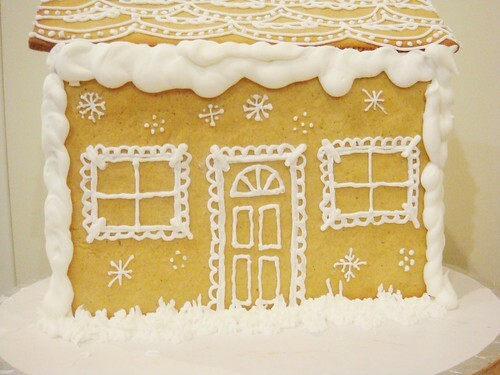 I was inspired by a few gingerbread houses I saw online and tried using similar piping techniques. It was quite hard to pipe on the side of the house but in the end I got the hang of it. I actually quite liked it in the end, even if it was only on two sides! 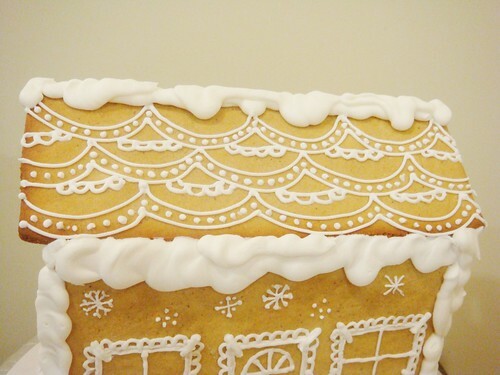 I think I like this gingerbread house design better than last years one, mission accomplished!